The wonderful (and awful) thing about Hearthstone is that just as players are refining their decks to perfection to dominate the game, new cards are introduced that turn everything upside again. Acquiring these new cards can be a costly matter, but enthusiasts won't think twice about shelling out some serious cash for the chance of grabbing the new pieces needed to take their game to the next level. Blizzard, you guys are evil geniuses. Today in San Francisco, the newest addition to the Hearthstone realm was announced. 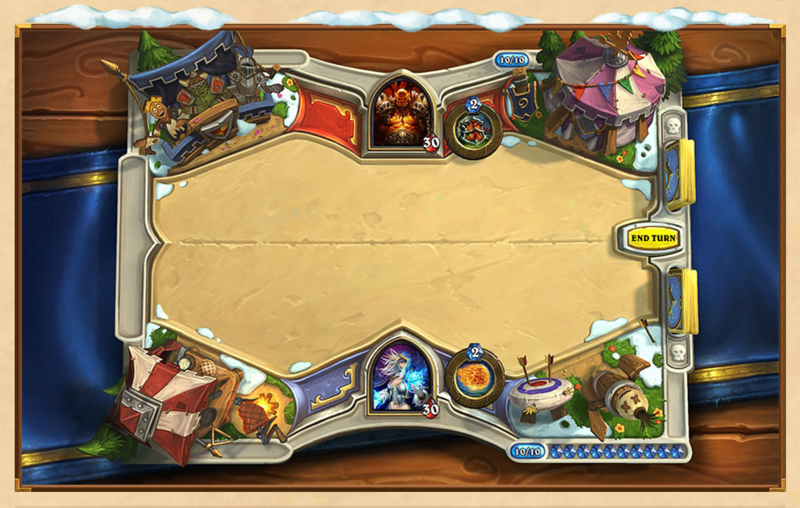 It's an expansion called 'The Grand Tournament', and it will arrive on all platforms this August. 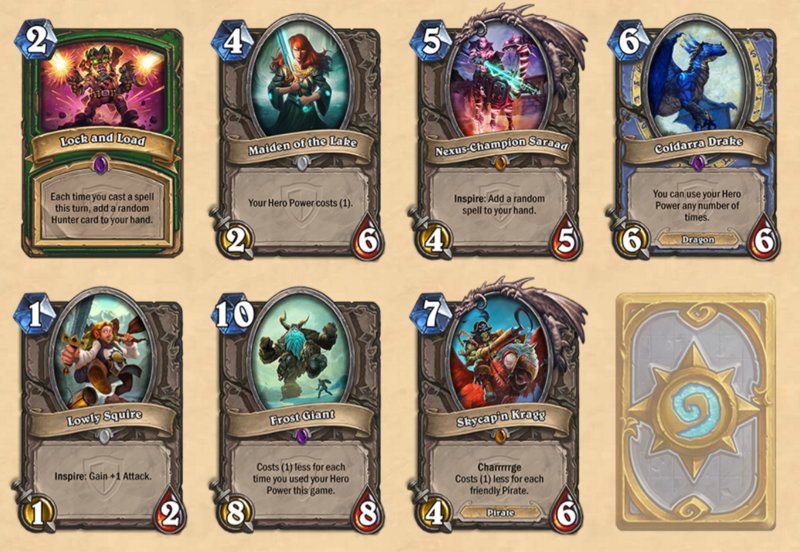 The expansion introduces a whole slew of new content to the game, which should mix things up dramatically and lead to some exciting new decks and gameplay. The emphasis of the new content centers around enhancements stemming from your hero's special powers — I'll get into that more later on. Let me break down the new additions for you. 132 new cards: Wow, that's a ton of new cards! It's even more than were introduced in the previous expansion 'Goblins Vs. Gnomes.' Some of the cards have already been revealed on the official Hearthstone website. A new card will be revealed on the site every day until the expansion launches. Players can vote between two cards daily on which they would rather see unveiled. A new playing board: No expansion would be complete without a new playing board full of Easter eggs and surprises to keep you entertained while your opponent takes their turn. I think the board follows the tournament theme quite nicely. A new keyword: Keywords like charge, deathrattle, and taunt refer to specific powers or characteristics of cards in Hearthstone. The new keyword that will be featured on many of the cards in the expansion is Inspire. Cards with Inspire will have a special action or benefit that is activated by your hero's special power. 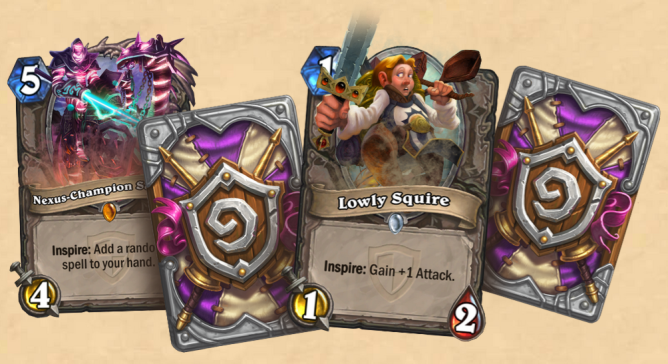 For example, the new Lowly Squire gains +1 attack every time your hero power is used. A limited time offer on card packs: During the next week Hearthstone players will be able to pre-purchase a set of 50 card packs of the new expansion cards for the promotional price of $50, a 50% savings from the normal cost. That is a HUGE sum of money to drop on a mobile game, but I'm sure Blizzard will sell millions of card packs during the promotion. In addition to the discount, players who purchase the 50 pack of cards will also receive the special promotional card back pictured below. After the expansion is released players can also purchase card packs for free by spending gold coins earned from winning matches and completing daily challenges. For more details about 'The Grand Tournament' expansion be sure to check out the official trailer and launch page.